Raising world consciousness. The two-hundred-and-eighty-third episode of PolyCast, “Organically Sourced Empires“, features regular co-hosts Daniel “DanQ” Quick, Stephanie “Makahlua”, Philip “TheMeInTeam” Bellew and ”MadDjinn” with returning guest co-host Jason “MegaBearsFan” Grade. It carries a runtime of 59m59s. Adding new districts to the mix in Civilization VI garners some attention. From perennial frustrations with the Civ series to suggestions to address them, much is considered. 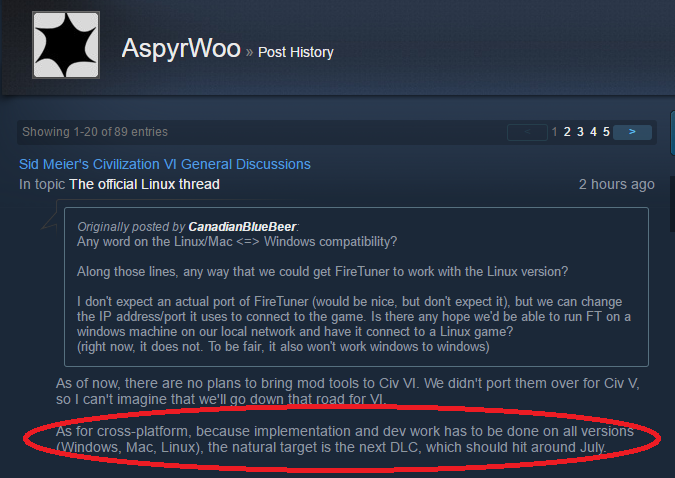 Expressing dissatisfaction with the ongoing lack of cross-platform Civilization VI multiplay leads to an unexpected reference to the release timeline of the game’s next Downloadable Content (DLC). Misunderstanding muse, audible prompting and not knowing of what is said.